The feature length, battle rap movie written by Kid Twist, directed by Joseph Kahn and produced by Eminem is now available to watch on Youtube Premium. A Premium account will run you $11.99 per month, however, a 3 month free trial is available new users. 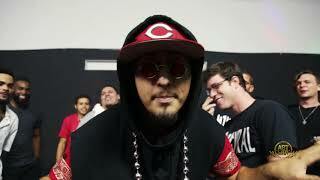 The movie features real battlers Dizaster, Dumbfoundead, Madness, Organik, Conceited and more.